So I purchased my virtual Blizzcon ticket yesterday then logged in to the PTR. I had mail in my inbox so I checked it out. 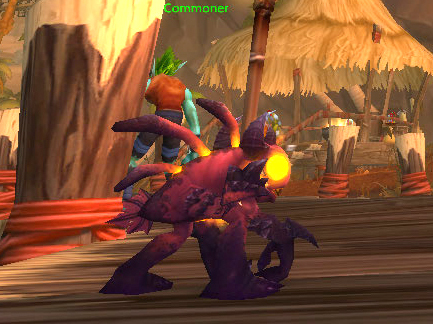 And there was my Murkablo pet. I guess Blizz wanted to test them out before releasing them this year. If you’ll remember last year’s Deathy came out with the wrong animations.